Live in a vibrant community on the move when you find your next dream home with the help of our DFW Realtors in Roanoke, TX. 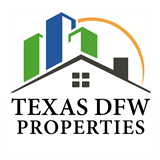 Whether you are moving to the Metroplex to start a new life, or you need a bigger home to accommodate a growing family, the first call you should make is to Texas DFW Properties and owner/broker Wes Walser. Our brokers understand this community better than most, and they are ready to dedicate themselves to the task of finding the right home for your family. The Dallas-Fort Worth Metroplex is a diverse grouping of communities with a number of developments that fit your lifestyle. Tell us more about your plans for the future, and we’ll identify a development that is close to where you need to be. Put down some roots in a community that is consistently rated one of the best places to live in this part of the Lone Star State. Live in a landmark development designed around a historic golf course and enjoy everything that this exclusive destination has to offer. Find new homes for sale, and get the best offer possible for your existing home when you choose a team of real estate professionals that makes you the priority. Our selling agents can tell you about their personal experiences with local schools and market your home when the time comes to put it on the market. Contact us today to work directly with DFW Realtors that are focused on finding your dream home. We proudly serve clients in Roanoke, Texas, and surrounding communities throughout the Dallas-Fort Worth Metroplex. 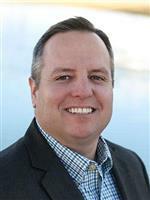 "We enjoyed working with Wes and would recommend him to others interested in buying/selling a house. He used professional photographer that produced ... more "
"Working with Wes has definitely been the highlight in all our home search process. We are from Uruguay and with that, not familiar at all with the US ... more "